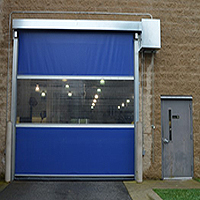 Rolling counter doors or also called roll up counter doors are a solution for providing security to small and large wall service openings (Sizes range up to 20′ wide and 9′ high) Ideal for such applications found in commercial retail, foodservice and manufacturing facilities. 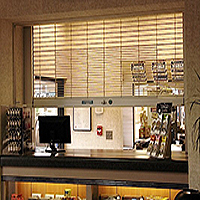 Roll-up counter doors are made from a series interlocking panels called slats. The roll up counter doors roll up tight, consume minimal space and are custom designed to fit your needed application. 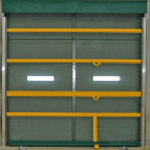 The door is manufactured from corrosion resistant components and available with custom colors. 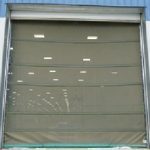 Counter roll-up doors are available as manual or motorized operation. All counter doors are shipped as a kit with all necessary parts for a complete install (Less wall fasteners). 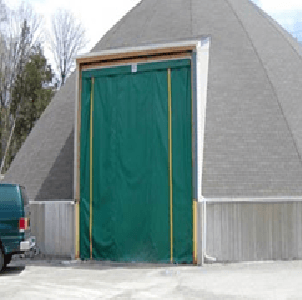 It is recommended the door be installed by an authorized or experienced person.